Cast the fisherman's rod by lifting and releasing the counter weight, he will then be rocking back & forth casting his line. 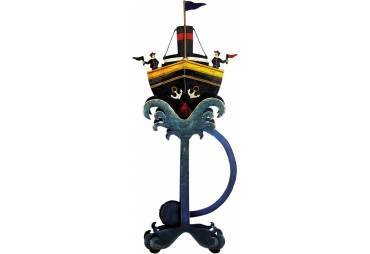 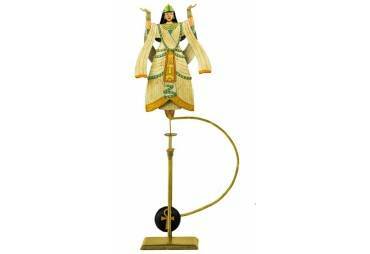 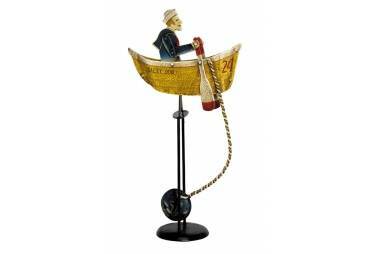 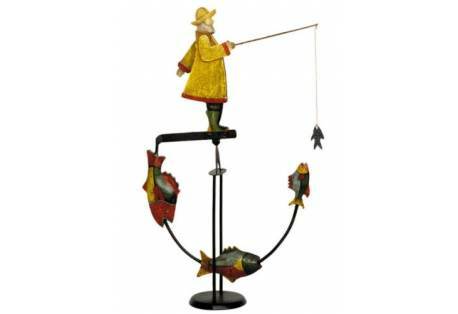 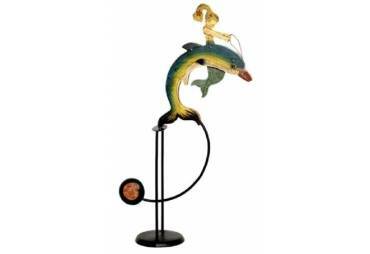 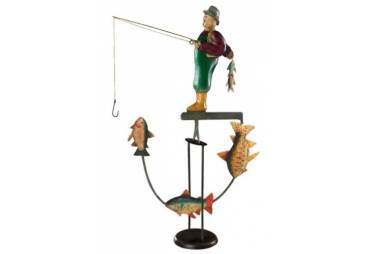 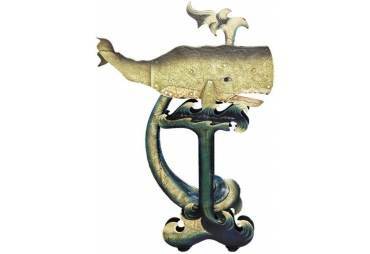 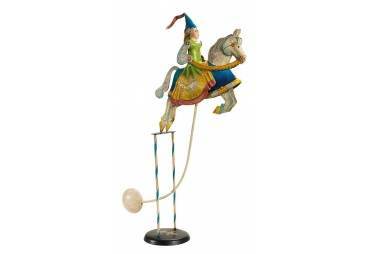 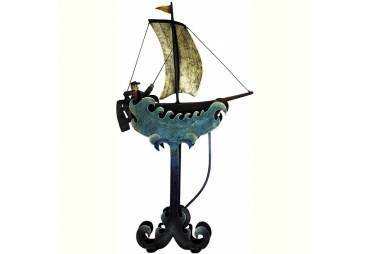 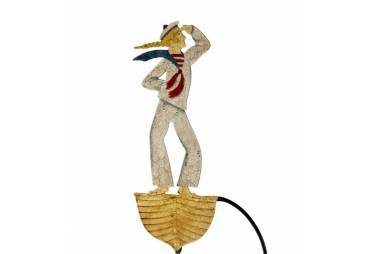 The Fisherman & Fish balance toy is hand painted and has an anitqued rich aged patina finish. 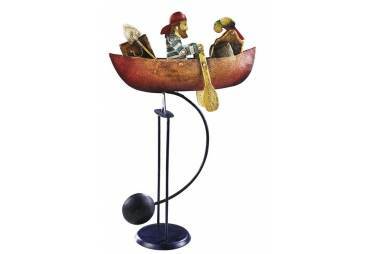 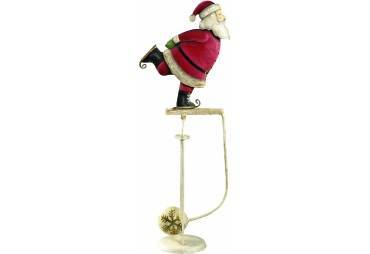 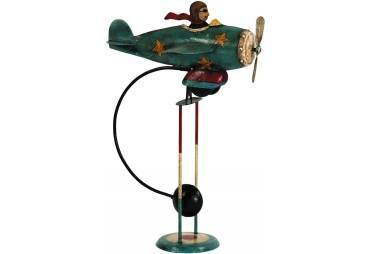 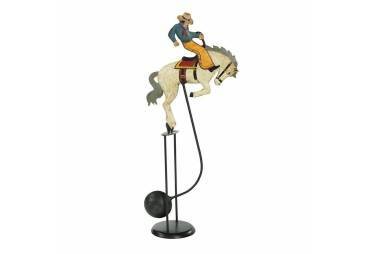 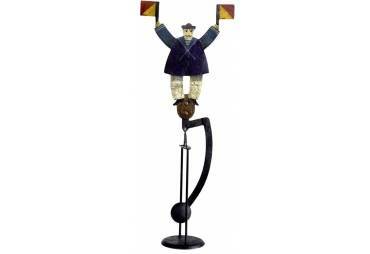 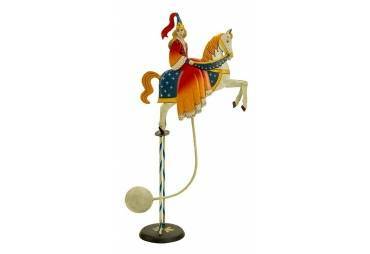 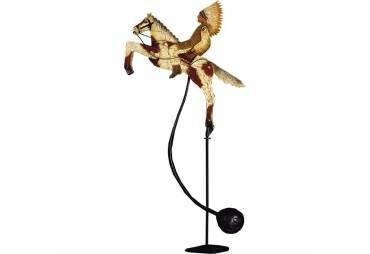 This tetter totter toy is handmade of recycled hand cut heavy sheet iron metal. 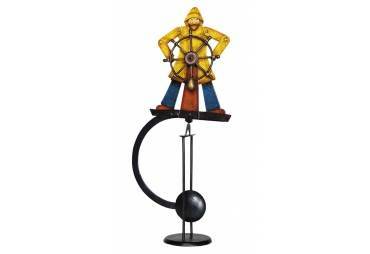 The counterweight is made of two halves which are molded on bronze cast molds then welded together.